Another business owner in Dayton wanting to bring fiber to the home in the neighborhood of South Park, David Estrati, sent me an article announcing that Google Fiber is hitting some permit delays in Austin, Texas. Other ISPs operating in Austin have been racing to be more competitive. 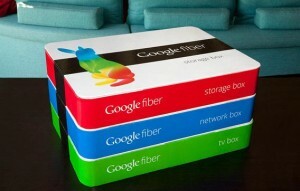 Of these, only Grande Communications is actually offering a 1Gbps tier on par with Google. AT&T is currently offering speeds up to 300Mbps, but plans to upgrade to 1Gbps by the end of the year. Time Warner has promised to upgrade to 300Mbps by this summer, and will also be offering lower tiers more modest speed boosts, for instance bumping 15Mbps users up to 50Mbps. Only Austin residents will see the speed improvements in the foreseeable future. This confirms what Dean Goodman, a colleague from Austin, told me in late March of this year. It is good for Austin to have the existing major ISPs bump up their broadband speeds. I am surprised that AT&T plans to offer gigabit speeds in Austin. What is keeping them from bringing those speeds to Dayton? I agree. What is keeping them from bringing those speeds to Dayton? This is how innovative some small cities are regarding Fiber to the Home FTTH or Fiber to the Premises FTTP. The City’s Internet service is owned and operated by the people of Sandy. Their city officials claim the availability of fiber Internet service increases the value of a home (as much as $5,000, according to some experts). If the little town of Sandy Oregon can do it, what’s holding us from it? Unlike the fees the telecoms and cable providers, Sandy only charges residents $39.95 per month for 100 to 1000 Mbps service; which is 10 to 1000 times Time Warner’s standard service connection and only 60% of the cost. Compared to Frontier, the city gives residents 100MB of speed versus 7.1MB for the same $39.95/mo. In my opinion, waiting for telecoms and cable companies to offer the same service is a slower path and will cost consumers more. Thanks for commenting and for sharing the response from AT&T toward Google Fiber. The residents of the target metropolitan areas are going to benefit. It would be nice to see Dayotn on these lists. Broadband competition is good for the consumer in bringing faster speeds and better pricing. Let’s hope to see more announcements from carriers across the country bringing fiber and gigabit speeds to the homes in more cities.